Part two of my vector tutorial. 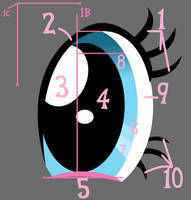 All you need to do is add a width point at the end of the stroke, double-click it, and change the total width to zero. Edit two: I was informed of the "Draw Inside" tool also found in CS5. This tool automates the usage of clipping masks and makes them much easier to use. Check out a video here! Which version of illustrator is it? Gimp isn't any vectoring program, it's raster program. even if it has path tool. Real vector lines don't blur when you zoom. Exported are in .SVG format. thanks, so will this work on G.I.M.P? Gimp isn't a program used specifically for vectoring, so no. what program would you suggest? You could use the program listed here, Illustrator but it costs money. You can also try Inkscape, which is free. I suggest using Inkscape if you're not willing to spend some money. Illustrator is pretty good too. Photoshop is another option you can try. hat program did u ue? Yeah, that's one issue I've had before. Can't you just click okay and do it anyway? Otherwise, I'd say you might have to scale it down a bit. Or maybe there's another export option? Save as copy, perhaps? I think I found a solution : export it in 72ppi ( :/ ) and then crop it in Photoshop. => Save for the Web, the warning message is still here, but it can export it as a PNG ! Well, 72ppi is fine unless you're printing it. Your solution works, though. Sorry there's nothing more elegant! Like it says, Save for Web wasn't made for that kind of image size (I mean really, what web site would have a 5k image on it?). I think it has to do with the image size, not dimensions. So if it were 9000x1000 (9mil pixels) it might work, but 5000x5000 (25mil pixels) is too much. I just want to thank you, this tutorial was really easy to follow and now I know how to work with vectors! It's exceedingly difficult to create fills without selecting a bunch of lines and layers I don't want to touch. I don't suppose there would happen to be some kind of paintbucket, magic wand, or simple fill tool? Oh yeah, the new ones have some kind of overkill snapping feature, don't they? There should be some way to turn that off in the options. Or, you could select the fill, right-click it, and send it to another layer (Under Arrange > Send to Current Layer). There may be some kind of fill tool... I'm not familiar with the new versions. D: I know, I use Photoshop all the time, too! That's one of the downsides to vectors, though. You lose stuff like paint buckets and selection wands. You can try Google, though. That might help. It might sound a little convoluted, but I think I found a solution. I can export my lines into flash and use the fill bucket to easily fill in the white space and still keep the whole thing a vector image. A question: how I can copy the colour in Illustrator 10? You can't. The color picker only works on vector objects, not on images. this is a great resource, but coming from photoshop im struggling to understand as to how the lines mid way through themselves dont change thickness yet in the picture im vectoring they chage thickness mid line, am i thinking correctly or are the lines meant to be the same thickness all the way? They're supposed to be constant thickness, except at the ends. Are you using a tablet? If so, you'll have to turn off the pressure sensitivity in Illustrator's settings or something. Otherwise, they should stay the same width. And use the pen tool, not the brush. No problem, glad it helps. And good for you for figuring out your problem. Here it is finished, [link] I had such a hard time with the eyes I always do, I tried using your tutorial for help but something wasnt working, so i did it the long way.... not fun. Yeah, I hate doing the eyes. Worst part. D: Glad you got it sorted, though! It looks good. My only criticism is the snout shape, but other than that it looks great! some help please, im having trouble with the hair colors, is it different with CS5 to be able to have the inner hair colors on top of the fill but below the stroke cause im having major trouble with that, i ended up making two separate layers for the fill and stroke for the hair outline and hair color, and thats just way to time consuming. So basically it's an advanced form of tracing? Go figure. This was just a demonstration. I don't encourage tracing in original art. This could equally well be applied to your own drawings. But vectors use lines that already exist. Tracing copies the lines over exactly. Isn't this almost the same thing? I'm saying you could apply this technique to things you've drawn yourself. Take this sketch, for instance - [link] . I vectored it with the permission of the artist - [link] . So while one could just trace screenshots instead of drawing stuff, I don't think most people do that, and it certainly does not have to be done. This technique can apply equally well to drawings. I suppose you are correct good sir. Thank you for providing a well-reasoned argument with plenty of examples, instead of blindly CAPS-raging. Thanks, and thank you for doing the same! I've been trying to reference it and it is very helpful, but some of the keyboard shortcuts you listed don't work for me. Do you know them for Apple computers? Or, there should still be a menu to change the keyboard shortcuts in one of the menus somewhere. I've finally finished my character vector thanks to you! You taught me a lot! I was watching some interesting tutorials on Adobe Illustrator, and I just discovered the "draw inside" tool for CS5. Perhaps it could be used as a substitute for the clipping mask on some parts for users with more up-to-date versions...?